Nobody likes being referred to as a slob or a messy person. However, clutter is an unfortunate thing that happens to all of us when life hands us obstacles (especially if you live in a tiny apartment). While your apartment doesn't have to look like it was lifted from the pages of a fancy magazine, there are a lot of benefits to tidying up. For one, you don't have to panic when you have unexpected guests or friends come over. No one really likes cleaning, but keeping up a clean home can allow you to focus and enjoy the things you do love—whether it's watching TV or practicing your favorite hobby. Make it a point to do one chore per day, whether it's taking out the garbage and recycling, deep cleaning the bathroom or kitchen, or vacuuming or mopping your floors. This eliminates those marathon cleaning sessions that we all want to avoid. Set up reminders on your smartphone or keep a list on the fridge of what chore needs to be accomplished on any given day. Life is a lot more streamlined (and your apartment is less messy) when you get rid of the things you no longer want or need. Go through your things—your closet is a great place to start—and assess whether you need to keep, donate, or toss certain items. This is typically a struggle for a lot of renters, but making the bed really does have this magical ability to make your apartment look a lot more polished. It only takes a few minutes and leaves your place looking a lot less messy. Buying a lot of poorly made things can clutter up an apartment in no time, especially if you live in a smaller place. Go with a "less is more" approach to decor and invest in furniture, decorations, and other essentials that you truly love. 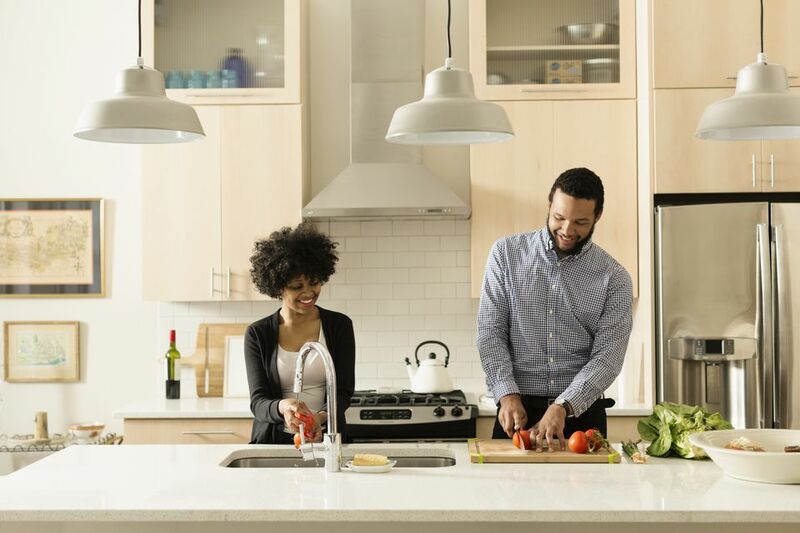 Although they might cost a little more, you'll be much less likely to toss them one, five, or even 10 years down the road—which actually saves you a lot of cash in the long run. How often do you misplace your phone, keys, or wallet because you don't have a designated spot for them? Having a floating shelf, stand or another piece of furniture right by the door for these items and your mail is key. Not only is this an excellent organizational tool, but it can also keep things tidy. These typically are the areas that pick up a lot of messiness and clutter. When you are cleaning, focus on places like desks, kitchen and bathroom counters, coffee tables, dining room tables, and bedroom side tables. When these spots are organized, your entire apartment will look organized. Like an unmade bed, a dirty sink is one of the trademarks of a messy apartment. Although it might be tempting to relax and let those dishes pile up after making your meals, taking the extra 10 minutes or so to load the dishwasher will save you a lot of unwanted stress down the road.